We are excited to present the fantastic "Stars From The Commitments!" This outstanding live stage show features original Commitments cast members and musicians: Kenneth McCluskey AKA Derek “The Meatman” Scully, Robert Arkins AKA Jimmy Rabbitte, Michael Aherne AKA Steven “The Soul Surgeon” Clifford & Ronan Dooney (Trumpet) from the Bafta award winning and Golden Globe and Oscar® nominated smash hit Sir alan Park film and multimillion selling sound track. The show consists of two hours of sizzling soul music – and is thrilling live experience that will stir your soul. They will perform all the hits, including 'Mustang Sally', 'Midnight Hour', 'Chain Of Fools', 'Treat her Right', 'Try A Little Tenderness' and more. 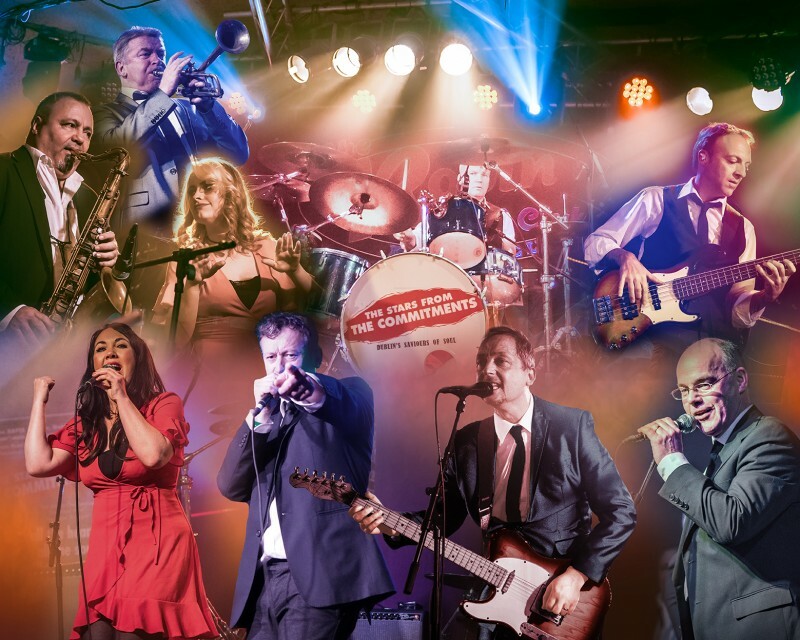 Dan Aykroyd of The Blues Brothers said “The Stars From The Commitments show is the best soul review I have ever seen or heard".